Mount cloud storage as a local device. Is there a better alternative to WebDrive? 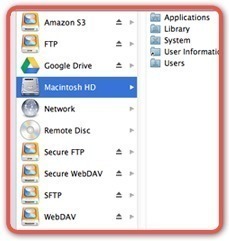 Is WebDrive really the best app in FTP category? Will WebDrive work good on macOS 10.13.4? WebDrive's instantly familiar interface lets you fluently work with cloud storage, local files, and files on remote servers through one common access point. Use WebDrive instead of the traditional FTP client, WebDAV, or SFTP client to reduce the steps of updating remote content.